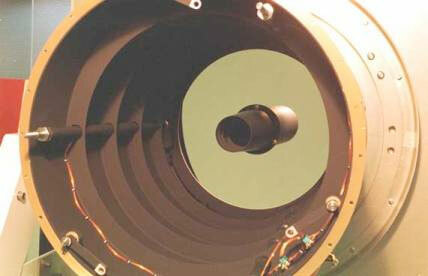 Faced with challenging time scales and demanding tolerances, Optical Surfaces Ltd has supplied a series of key precision optics to a consortium led by the Mullard Space Science Laboratory (MSSL) to help them successfully deliver the XMM Optical Monitor telescope to the European Space Agency (ESA) on time. The XMM Optical Monitor is an UV/optical telescope on the ESA X-ray Cornerstone Mission successfully launched in December 1999. The instrument consists of a 30 cm Ritchey-Chretien telescope feeding a compact image intensified photon-counting detector operating over the wavelength range 170 nm to 550 nm. 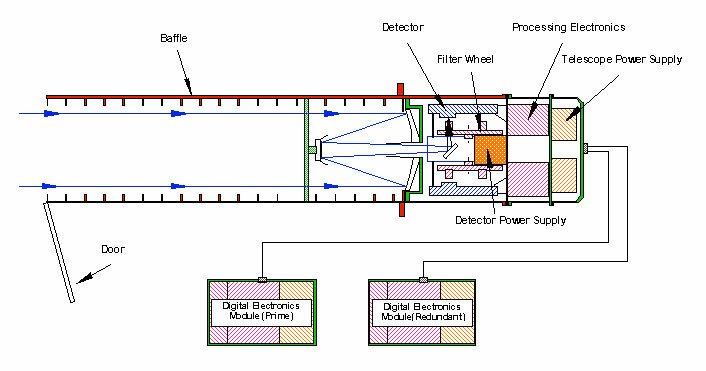 Spectral resolution is achieved by the use of broad and narrow band filters and two grisms mounted in a filter wheel for low-resolution spectroscopy. To enable more detailed imaging at the centre of the field of view the design includes a 4x-magnifier lens. The principal reasons for selecting the Ritchey-Chretien cassegrain design included a wide field of view and high spatial resolution, which placed high demands on the precision and mounting requirements of the optics within the telescope. Chosen for their international reputation in producing large and demanding high precision optics, Optical Surfaces Ltd (Kenley, England) produced the primary and secondary hyperbolic focussing mirrors, two grisms and a 4x-magnifier lens. 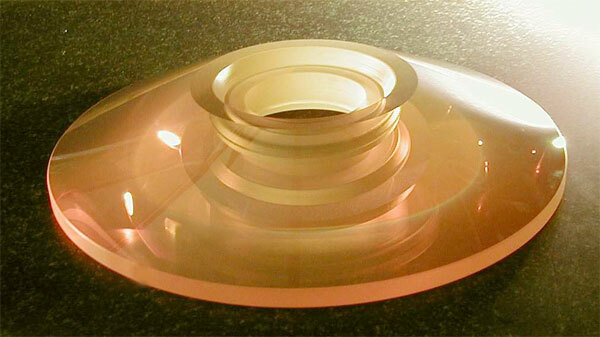 Optisurf produced two matching F#2 hyperbolic mirrors made from Zerodur of 310mm diameter and a uniform lambda/25 rms. surface finish. The challenging process of mounting and testing the optics to ensure they met specification was achieved using our own in-house test and calibration facilities. Both the mounted magnifier lenses and the complex curved prisms, which form the grisms, had particular angle and tolerancing problems which were overcome through means of specially designed, manufacturing procedures. Production of these optics has helped MSSL to deliver the XMM Optical Monitor on time and meet the demanding test specifications. The low background in space seen by an orbiting observatory gives the XMM Optical Monitor a sensitivity for imaging comparable to that of a 4m telescope at the Earth`s surface. Using the unique capabilities of the XMM Optical Monitor on the X-ray Cornerstone Mission the European Space Agency looks to investigate and analyse phenomena in depth using a simultaneous UV/optical/X-ray observation capability. MSSL forms the major element of the Department of Space & Climate Physics, University College (London) and has designed and built instruments for more than 30 orbiting spacecraft and 200 sounding rockets. By hiring our technical staff and calibration facilities, MSSL tuned their mounting techniques to achieve a successful result.